In Japan the GT-R has a speed limiter set at 180KM(111mph) and automatically releases when you enter a domestic circuit. 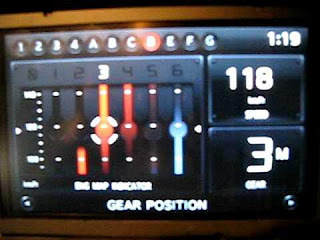 The GPS communicates to the ECU to cut the limiter. Our sources say that the US version has a limiter set at 250KM(156mph) but there is no GPS communication to the ECU to cut the limiter. This means anyone who wants to go faster must crack the ECU. Nissan has been extremely cautious about any kind of modification to the GT-R including the ECU. Nissan technicians have encrypted the ECU ever more than any car they have produced. It is said that only a handful of people in this world can crack the ECU of the GT-R.
Its just the handful of people in the world that can hack it, are going to hack it. All it takes is one person and the internet , and its done.